ethane leaks throughout the entire process of developping natural gas-- from wells and storage sites, to processing facilities and pipelines. 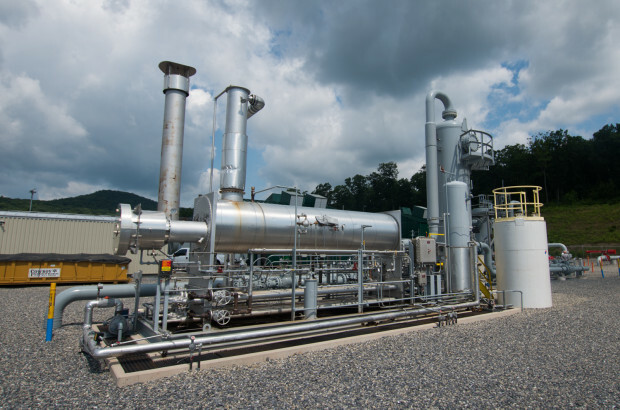 State Impact Pennsylvania – Pennsylvania environmental regulators put a call out Friday for the public to weigh in on their draft final general permits to address methane emissions from new Marcellus Shale well sites and other natural gas facilities. Methane is the main component of natural gas. Compared to carbon dioxide, it’s much more potent as a climate-warming greenhouse gas, although it stays in the planet’s atmosphere for a shorter time period. It leaks throughout the entire process of developing natural gas — from drilling wells to storing it, and transporting it through pipelines. The 45-day public comment period closes May 15. The permits will only apply to new emission sources. A separate package of new regulations for existing emission sources was supposed to be proposed in 2016, but the DEP has yet to introduce the rules. The most recent data show overall methane emissions from shale gas industry rising, while other air pollutants are falling. The DEP says the methane increase is mostly due to the growth in the number of facilities filing reports, while the average emissions per facility is staying relatively level.